has spread across the continent. 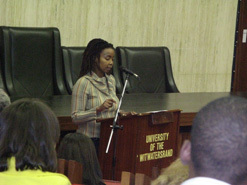 Professor Gqola giving her address. 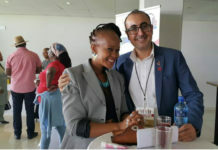 The outbreak of xenophobic violence across the country has prompted academics in South Africa to bring their minds together to try and get to the bottom of the social ills at the root of the violence. 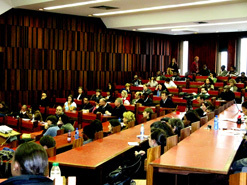 On 28 May 2008, the University of Witwatersrand’s faculty of humanities hosted a colloquium entitled “Violence and Xenophobia in Johannesburg: Critical responses today”. The aim of the colloquium was to discuss the underlying causes, contexts and consequences of the attacks on foreigners in South Africa. Journalists who have been covering the violence also attended the discussion to give an eyewitness account of the uprisings. Alex Aliseev, a journalist from the Star newspaper, spoke of how he witnessed the helplessness and trauma experienced by foreigners as they were forced out of their homes. Many of the immigrants were then forced to find temporary shelter at police stations. A visibly distressed Aliseev recalled journalists having to put their personal feelings aside to write the story and take the photographs, which have moved not only the entire country, but the world too. Professor Anton Harber, of the university’s school of journalism and media studies, analysed media coverage of the violence. He noted that in some publications, like the Daily Sun, the term “aliens” was constantly used to refer to foreigners. Harber also noted that when the violence first erupted the paper failed to use the story as its front page lead until several days later when there had been deaths and high-profile figures had been to visit the hotspots. He said the story angles taken by the Daily Sun gave the impression that the violence had been a long time coming and that foreigners had been a nuisance among the poor as they were all battling for the same resources. In stark contrast, the Star had almost from the beginning of the violence given priority to the victims of the story, and less attention to the attackers. 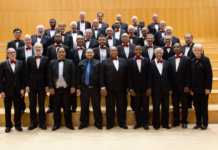 The term “mob” was also used frequently in their coverage of the story, referring to groups of South Africans who carried out the attacks on the foreigners. Harber noted that even though the almost philanthropic coverage of the violence by the Star might have made the public feel better about themselves, the public also had to reflect on which one was really giving the true picture of our society. Several academics then took to the floor to give different perspectives on the cause, effect and possible solutions to the violence. Devan Pillay, associate professor at the university’s department of sociology, came out strongly against what he termed the culture of entitlement that some South Africans tended to adhere to. He said this contributed to the sentiments that foreigners were “stealing our jobs and our women”. Pillay said that poverty does not cause uprisings, but deprivation does. In addition, what is happening in South Africa is not really unique – it happens in societies where expectations are not met. This then gives rise to misdirected frustrations and politicians seemingly indifferent to the plight of the poor. Stephen Gelb, visiting professor of economics at Wits, echoed Pillay’s sentiments and spoke of economic inequality and its social consequences. He raised the pertinent point that inequality and poverty cannot be treated with the same medicine. 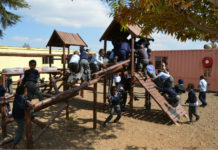 Quoting a few statistics, Gelb gave a startling picture of the disparity between the rich and the poor in South Africa. According to his figures, the top 10% of earners in the country account for 51% of the country’s entire income, while the bottom 10% account for only 0.2%. While poverty can be addressed by means of job creation and offering social grants to assist those living below the bread line, this does not address the frustrations of the poor who still remain at the bottom of the ladder. Gelb says inequality can be addressed by empowering people with education, skills, land and houses, as asset ownership gives people opportunities to live a better life. Other scholars gave a legal perspective, asking whether our constitution ever made allowance for such a social catastrophe, while others brought the “elite” to order saying that they cannot absolve themselves from the crisis as the unbalanced distribution of power also contributes to the frustration of the poor. 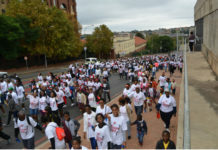 Feminist writer Professor Pumla Gqola, from the school of literature and language studies, said that the current spate of attacks is a culmination of xenophobic violence that has been taking place on a smaller scale in the country, without much resolution. She cited last year’s attacks on Somali nationals in Cape Town which, despite good media coverage, did not prompt government to come out strongly and condemn the attacks. She further noted that the “incomprehensible shock” reaction of South Africans is typical of the way that society distances itself from the plight of the victims. Gqola also noted that the attacks seemed to be divided along racial lines as immigrants of other races were not subject to the same treatment as those living in townships. It seemed, Gqola said, that South Africa had found its “throwaway people” in foreigners. She described throwaway people as those who are easy to violate. 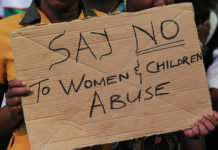 The immigrants are easy victims as they fall outside the protection of South African law and could easily be victimised. This, she said, raised questions about whether the country was kinder to immigrants that are well off, in stark contrast to those who are living in poverty. 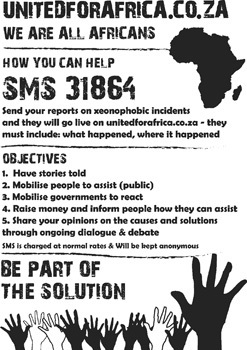 One of the most critical issues to the current xenophobic violence is the relative ease with which foreigners are able to gain access to the country. To this end, professor of anthropology, David Coplan, painted a picture of the “South African identity for sale” in his discussion entitled “Crossing borders”. According to Coplan, a lack of tight control at our borders and corrupt home affairs officials makes it easy for immigrants to enter the country without the proper documentation or using fraudulent documents. This has led to South Africa using millions of rands each year to deport illegal immigrants, many of whom eventually return to the country. The solution, says Coplan, is for government to start applying vigilant measures at our borders. One of the ways in which this can happen is to use improved IT solutions on the officials’ computer system. Whenever a foreigner arrives at the border, upon his or her passport number being entered into the computer, a history page detailing the number of entries into the country should show up. If a person has been deported previously this should aslo appear on the system, as well as any criminal offences. If a person is coming into the country on a work/study permit this should also be reflected. Coplan says that currently the government does not have the proper management of border controls and once the infrastructure has been established it might start alleviating the escalating problem of illegal immigrants finding themselves unprotected as they have neither the proper refugee status nor a permit to work or study in the country. Solutions mentioned at the colloquium included government taking responsibility for the outbreak of violence by providing the displaced immigrants with all the help they need. 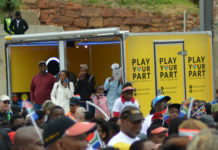 The government was also urged to educate South Africans on migration and learning how to co-exist in peace with nationals from other countries.